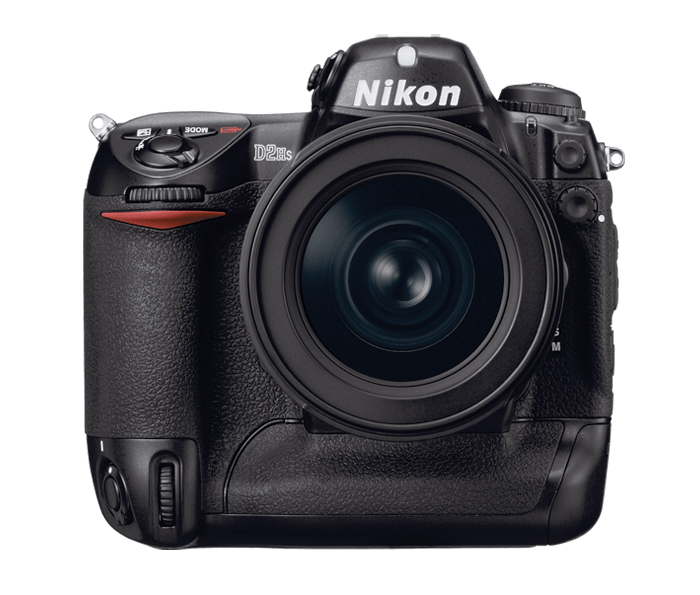 4.1 (effective) megapixels: Nikon original JFET imaging sensor LBCAST for high-resolution images (2,464 X 1,632 pixels) offers 4.1 effective megapixels. New ASIC reduces noise and greatly improves image quality. Increased buffer capacity: For continuous shooting, the increased buffer capacity allows 40 RAW (NEF) shots and up to 50 JPEG images for demanding action photographers. Advanced 3D-Color Matrix Metering II: Advanced 3D color offers more refined exposure evaluation algorithms and a larger database for difficult-to-meter scenes. Improved wireless capabilities: With added support for Nikon WT-2A Wireless Transmitter, you'll get improved transfer speeds up to 54mbs using 802.11g technology and easier connection settings with FTP + PTP/IP for wireless camera control using the latest Nikon Capture 4.2 software. GPS support: Connect with GPS devices that comply with the NMEA 0183 interface standard to record latitude, longitude, altitude and UTC data. Multi-CAM 2000 AF sensor module: Equipped with 11 sensors, 9 that are cross-type, effectively covering the majority of the image area and providing razor-sharp focus and limitless possibilities. See the action, keep it all in focus. Refined AF system includes revisions-to-lens drive algorithms for improved focus precision, subject acquisition and subject tracking. Improved AWB (Automatic White Balance): Precision and consistency are improved under lighting that has lower color temperatures with Speedlights. Supports the sYCC color space: Wider color gamut is available when printing JPEGs to sYCC compatible printers. Nikon Creative Lighting System: When used with the Nikon SB-800 and SB-600 Speedlights, the D2Hs maximizes the potential of the Nikon Creative Lighting System with high precision flash performance including i-TTL flash control and support for Nikon’s advanced wireless lighting, FP high-speed sync, modeling flash and more! Other improvements: Faster memory increases speed of image writing to CF card and an improved battery life for even better performance. In the box (supplied accessories): Li-ion Battery EN-EL4, Quick Charger MH-21, Body Cap, Camera Strap AN-D2Hs, AV Cable EG-D2, USB Cable UC-E4, LCD Monitor Cover BM-3, Nikon View Software CD-ROM. AF NIKKOR other than type G or D*2: All Functions Supported Except 3D Color Matrix Metering II. AI-P NIKKOR: All Functions supported except autofocus and 3D Color Matrix Metering II. DX AF NIKKOR: All Functions Supported Except FX-format (36x24)/5:4 (30x24) Image Size. Non-CPU AI NIKKOR: Can be used in exposure modes A and M; Electronic Rangefinder can be used if Maximum Aperture is f/5.6 or Faster; Color Matrix Metering and Aperture Value Display Supported if User Provides Lens Data. Type G or D AF NIKKOR: All Functions Supported.